Try-outs are scheduled for Feb 9th and 16th for Minors and Majors divisions. Each player will only need to attend one try-out session. Tee-Ball and Rookies do not need to try-out. All others prepare to try-out until further notice. Check the site for updates. 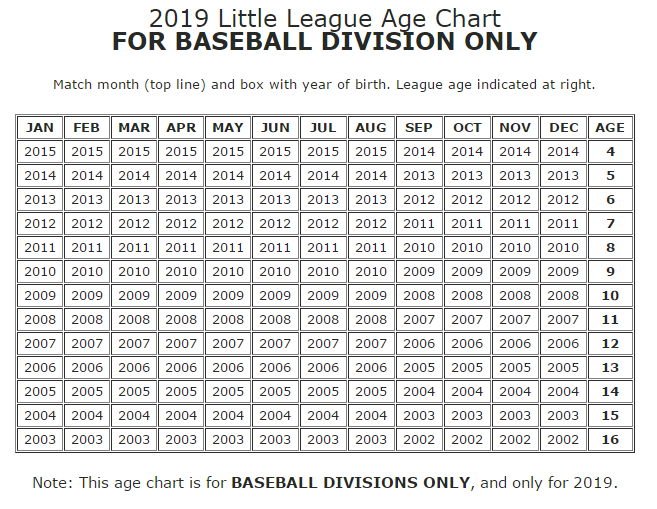 **If you have a 2019 League-Age 7 year old who wishes to tryout for Minors, sign the player up for Rookies and then email Player Agent Darrell at [email protected], inform him of your intent to try-out. No refunds will be given after tryouts!